2GIG Energy Management allows you to reduce energy usage while maintaining personal comfort for your home or business. Each of your thermostats can easily customize to fit your needs — whether you’re keeping a comfortable temperature or looking for ways to save energy. 2GIG Energy uses triggers like time of day, day or week and status of the security system to make your property run more efficiently. Control the temperature from your mobile phone or the internet! 2GIG gives you anytime, anywhere to access to your thermostats through web and mobile devices, and real-time alerts when a thermostat setting changes. 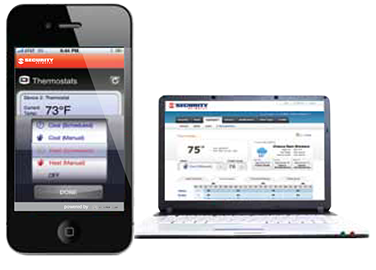 You can easily control all of your thermostat settings through user-friendly website and mobile apps, eliminating the need for confusing instruction manuals while saving you energy and money. 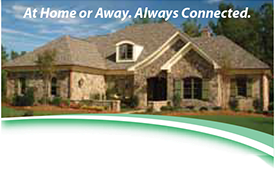 2GIG powered by Smart Home Security of Augusta, is the best in class interactive energy management and security system service. Unlike most security, 2GIG is 100% wireless. If the line is cut or there is a power outage, 2GIG is always connected.